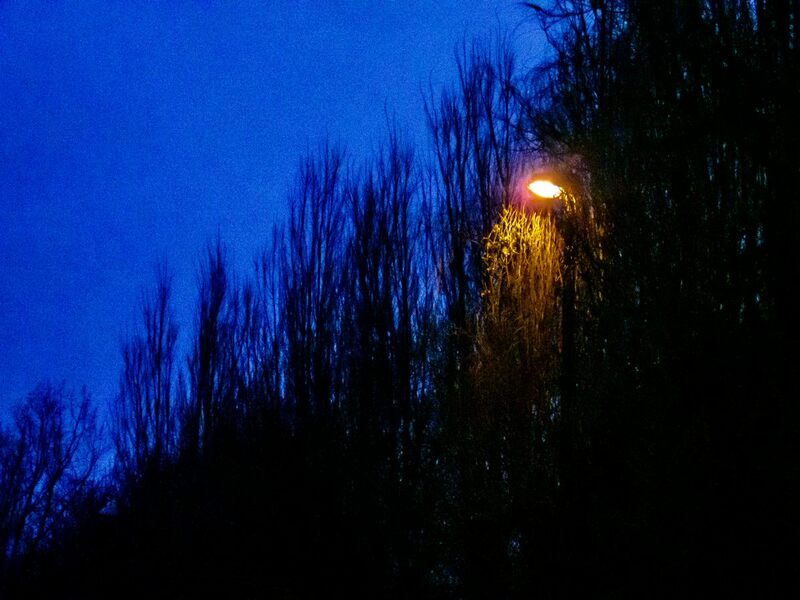 Streetlight, and the cold blues of dawn. The first image in the Outer Suburbs series, with context, is here: 1 . Subsequent images are here: 2 3 4 5 6 7 8 9 10 11 12 13 14 15 16 17 18 19 20 21 22 23 24 25 26 27 28 29 30 31 32 33 34 35 36 37 38 39 40 41 42 43 44 45 46 47 48 49 50 51 52 53 54 53a 55 56 . Each will open in a separate window. Click onto the image to open a larger version in a separate window, and click onto that image to enlarge it yet again. Technique: TG-5 at 100mm (equiv); 3200 ISO; Lightroom, using the Camera Natural film simulation; south Bristol; 5 Jan 2019. Photographer working in monochrome, colour and combinations of the two - with a great liking for all sorts of images, including Minimalism, landscapes, abstracts, soft colour, people, movement, nature - I like to be adventurous in my photography, trying new ideas and working in many genres. And I'm fond of Full English Breakfasts and Duvel golden ale, though not necessarily together. A belated Happy New Year to you – hope all is good with you and yours. I’m fine thanks, Adrian. I got bored with my last lot of photos back in the Summer (felt stale and completely uninspired) and thought I’d take a bit of a break – which turned into a few months (how time flies!). Sorry to hear about your leg – did it stop you getting out walking? I shall be taking a look at your Outer Suburbs work, my friend. I’m glad you like it, Gem – its something of an experiment really >>> me, always trying to see differently! Hope you’re both fine! ATP xxxXXX!! !